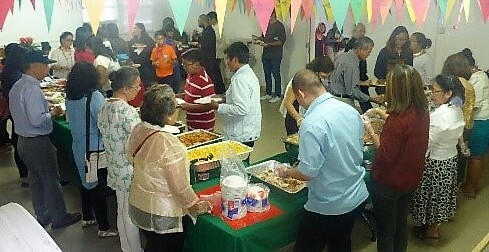 Grace Communion Fellowship, GCI’s congregation in the Eagle Rock neighborhood of Los Angeles, CA, recently celebrated the fifth anniversary of its founding in a special worship service (see the picture above). 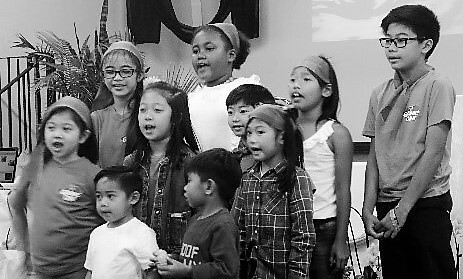 During the service, Lead Pastor Angelita Tabin gave the congregation’s leaders special recognition with prayer and a gift, and children performed special music (see pictures below). Congratulations to pastor Angie Tabin and Grace Communion Fellowship! Five years of love, sacrifice, joy and miracles! God is so good. Congratulations! We rejoice with you giving thanks to our great God. Congratulations on five years of worship together. You are a beautiful congregation. Congratulations pastor Angie and Grace Communion Fellowship! Congratulations to your church of five years so wonderful! Congratulations on five years of reaching out and serving the Eagle Rock community! You are a blessing to our denomination and a blessing to me!